Mix the white wine vinegar, vanilla extract and cornflour together to form a paste. Place the egg whites in the bowl of an electric mixer and beat until soft peaks have formed. Add the cream of tartar and continue whipping until glossy. Slowly add the sugar, two tablespoons at a time, whilst continuously beating, alternating with a little of the cornflour paste. 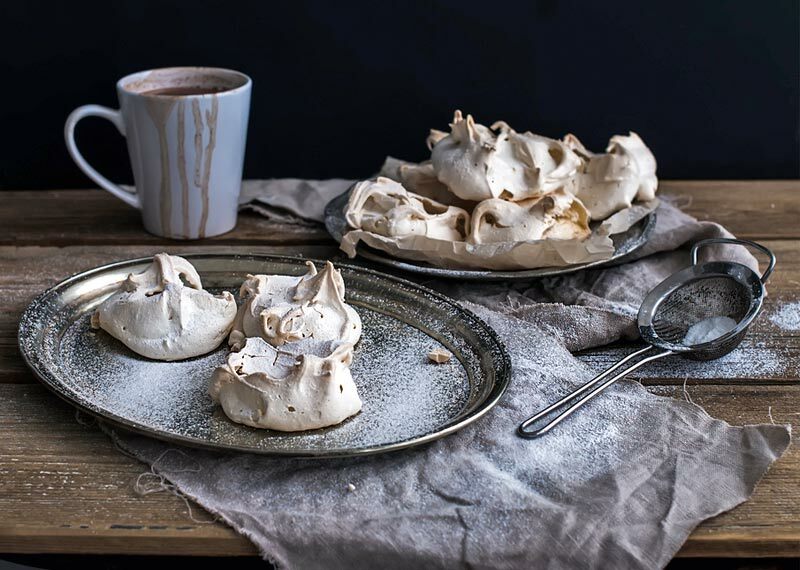 Place dollops of the meringue onto silicone paper, or a silicone mat, using a palette knife to shape them - spread the airy mixture to form circles of 4cm in diameter. Place in a preheated oven of 150ºC and bake for 40 minutes, or until crusty on the outside and slightly chewy on the inside.